Dr. Michelle (Shelley) McGuire has led a team of researchers from Washington State University (WSU), including Monsanto, in a study that has allegedly found US mothers’ breast milk to be glyphosate-free. McGuire and Monsanto’s study directly contradicts validated and low LOQ testing in Germany that was carried out earlier in 2015 which showed that German women’s breast milk contained glyphosate at levels between 0.210 and 0.432 ng/ml. The WSU Press Release of Dr. McGuire’s joint study with Monsanto and Covance Laboratories seems to attack the Moms Across America / Sustainable Pulse 2014 pilot testing on glyphosate in breast milk more than it gives information about their own study, however it completely misses out on comments about the German study. Sustainable Pulse and Moms Across America (MAA) have thus decided to dissect the WSU Press Release from top to bottom (Please find this dissection at the end of this article). The McGuire family have long been very close to Monsanto and Dr. Shelley McGuire’s husband Dr. Mark McGuire, Animal and Veterinary Science Department Head at the University of Idaho, was deeply involved in the scientific promotion of Monsanto’s infamous recombinant bovine growth hormone Posilac. Regulatory bodies in several countries, such as the EU, Canada, Japan, Australia, New Zealand and Argentina rejected Monsanto’s application to sell Posilac because Posilac increases the risk of health problems in cows, including clinical mastitis, reduced fertility, and reduced body condition. Dr. Mark Mcguire is also a close personal friend of Dr. John Vicini, Monsanto’s Food Safety Scientific Affairs Lead. Dr Mark McGuire’s research is also funded by the Gates Foundation, which is strongly promoting GM crops and their associated pesticides including glyphosate, especially in Africa. In 2014 just days after the Sustainable Pulse / Moms Across America pilot study was released showing that US mothers’ breast milk contains glyphosate, Dr. Shelley McGuire was put in touch by her husband’s contacts with Dr. Dan Goldstein, Monsanto’s Medical Sciences and Outreach Senior Scientist. Goldstein was leading a desperate attempt at the time to come up with some data to save Monsanto’s number one product – Roundup (a glyphosate-based herbicide) – from public crucifixion. From this point on Dr. Shelley McGuire has helped Monsanto to reach their goal: Glyphosate–free breast milk. 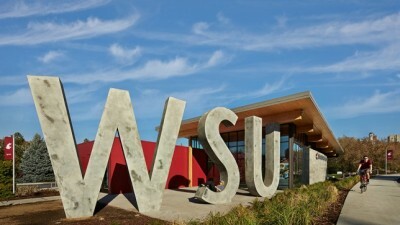 WSU Press Release: Washington State University scientists have found that glyphosate, the main ingredient in the herbicide Roundup, does not accumulate in mother’s breast milk. Sustainable Pulse/MAA response: You can make this bold claim based on a 41 woman pilot study with all the analysis done by Monsanto, which sells more glyphosate than anyone else in the World? WSU Press Release: Michelle McGuire, an associate professor in the WSU School of Biological Sciences, is the lead researcher of the study, which is the first to have its results independently verified by an accredited, outside organization. Sustainable Pulse/MAA response: Covance Laboratories is this accredited, outside organization – Covance Labs has worked closely with Monsanto for many years. Covance Laboratories are a service contractor for Monsanto on feeding studies with genetically engineered plants. Sustainable Pulse/MAA response: This is a very bold statement and Dr. McGuire / Monsanto’s study has already shown to be “flat out wrong” by a German study? Moms Across America and Sustainable Pulse only reported results from an accredited lab testing, so to keep to the facts there was no Moms Across America ‘study’. The testing was to encourage further independent studies on the issue – of which the German study mentioned above is one. The Moms Across America testing used an accredited lab – Microbe Inotech – who conducted industry standard tests which found glyphosate to be present just as the German tests did. WSU Press Release: Independent regulatory and safety assessments of glyphosate conducted by scientists at organizations like the…have found no consistent effects of glyphosate exposure on reproductive health or developing offspring. WSU Press Release: In McGuire’s research, she and her colleagues collected milk and urine samples from 41 lactating women living in or near the cities of Moscow, Idaho, and Pullman, Wash. The area is a highly productive agricultural region where glyphosate is routinely used in farming practices. Sustainable Pulse/MAA response: Due to suggestions made by Dr. McGuire herself that the breast milk would be supplied to Monsanto from the breast milk bank at WSU we would like to see full traceability of the samples – were they really taken from women alongside their urine samples? Also it was not made clear when the samples were taken – were they taken in the last 20 years or before glyphosate herbicides were even produced? WSU Press Release: Milk and urine samples were analyzed for glyphosate and glyphosate metabolites using high sensitivity liquid chromatography-mass spectrometry methods specifically optimized for the task. Sustainable Pulse/MAA response: Considering that Dr. McGuire and Monsanto were seemingly struggling with method development just 1 month ago, it seems unlikely that the method, which has not been released, is either accurate or has low Limits of Quantification. WSU Press Release: Urinary glyphosate levels were either non-existent or extremely low and not of concern, McGuire said. Sustainable Pulse/MAA response: Over 90% of the US population has glyphosate in their urine. Dr McGuire is not qualified to judge if this is of concern or not.